My daughter and I have both checked out this cool book for girls. She likes that it has stories about girls and women from the bible that she has learned about in Sunday School and Awana. She always gets excited when she recognizes one they have just studied. She also loves to read the personal letters from God to her. She is currently using it for her morning devotional read. I like that it catches my daughter's attention, that she enjoys reading it and can learn something from it. I also like the little notes at the end of each story that add a personal touch to it. A love letter from God to her that includes her in the story, and makes it applicable to her life. This book is beautifully illustrated and pretty for girls. The colorful pictures are so eye catching! There are multiple stories of girls or women from the Bible and how God loved them and proved his love for them. 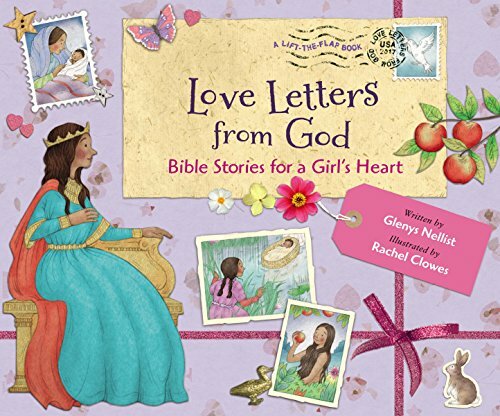 Each story ends with a personal love letter from God to your girl. And the book itself ends with a giant page in which your girl can write her own love letter TO God. I think that is so special. Our children need to learn to love GOD, not just to accept His love for them. Reading through the book should make them aware of all He has done for them, so they can see all the reasons why they should love him back. I also liked that each story included the passage of Scripture in the Bible where you could find the story. There was a separate verse in an image somewhere on the page also. I can't say I found anything about this book I really didn't like. The more I browsed the pages, the more I liked what I saw. 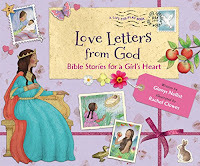 My recommendation for my own daughter was to read through the whole book, then write her personal love letter to God. I would recommend this book for any girl ages 7-11. We received this book from Zondervan, Booklook and Handlebar to read for free. We were not asked to review it positively. And all opinions are our own.